For many people a mobile dog grooming business is a great idea mainly because many customers also find it an awesome option for grooming their pets. For many busy people nowadays, it provides great convenience and a chance to make their pets a lot more comfortable than having to go to a shop because the groomer directly goes to their house instead on-board a trailer. A mobile dog grooming business is an attention-grabbing, lovable, unique business-on-wheels. Aside from being more mobile, you are exposing your business to people; in other words, it is advertising itself. The moment people see your grooming trailer your business can get popular instantly. There is no more need to rent a space; you don’t have a static location. You can be proud to say that this business is your own. Your grooming trailer is all your own; you don’t just rent. This business requires much lower overhead costs than having a stationary store because you no longer have to rent commercial space. Being a mobile business on a trailer also saves you cash from employing more people when maintaining a stationary shop. Because your business is on the go, you can easily set your own work hours and travel and groom pets only when you want or have to. You can always schedule some of your clients at a much more convenient time for you. Clients are more pleased with the service of having their pets groomed in their own homes. The pets are much more relaxed (and the owners also get to watch their pets). No more tedious days of preparing to take your pet to the groomer, getting your car all stinky, making your pet sick or anxious with the travel, etc. Essentially, you will be offering PREMIUM pet grooming service on the go so you can make more money with this unique service. You have low over-head costs and you can charge a little bit more for taking the service directly to people’s doorsteps so you can earn more money. Compared to grooming vans, mobile dog grooming business TRAILERS are a much efficient option because you never have to worry about the van breaking down and not being able to do business. If your motor vehicle needs repair, simply rent another car and hook up your grooming trailer to keep going with your business. A mobile trailer grooming business requires scheduling and organization skills, meaning: you have to learn to schedule your clients well and stick with your schedule so you never run late in going to your next client. And also, you must know how to take calls well to please and entice clients. You also need to know how to properly maintain your trailer and vehicle. Because you are always busy with your business that is constantly moving, you have to ensure everything is clean and in order at all times to avoid disruptions and wasted time. 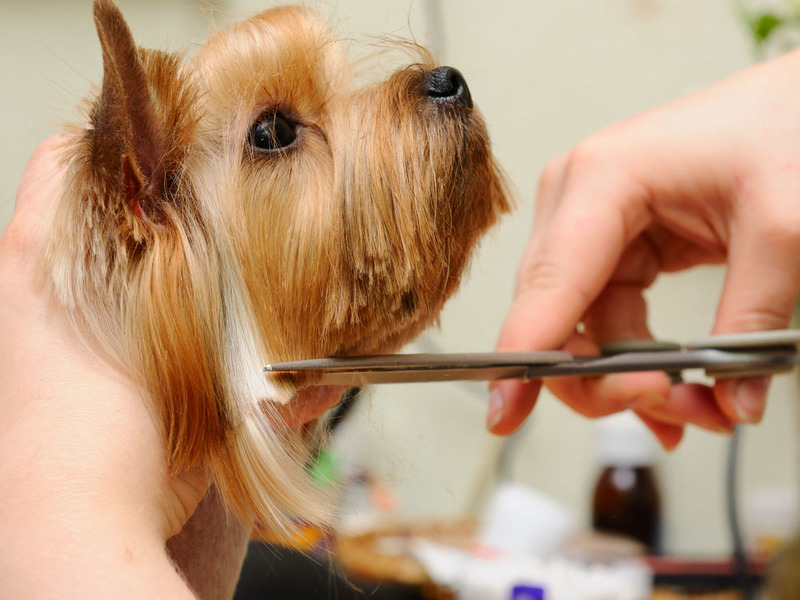 Some people may not be willing to pay more for a thorough, quality, premium service from a mobile dog grooming business; thus, you may need to exert effort in finding your targeted generous, more affluent clients. Expect that you will naturally have to charge customers more because you need to cover stuff as well such as gas, trailer and vehicle maintenance, and the PREMIUM service only YOU can offer. This is still good news because there will always be people who will be willing to pay more for the BEST service especially if it involves their beloved pets. Now, all types of business have some flaws, but the good news is that starting a mobile dog grooming business only has very few of them. A mobile dog grooming business is a practical and profitable solution to providing pet grooming services at home so consider buying a good grooming trailer today. Go mobile and boost your grooming business and order MTS’ custom-designed, fully-furnished trailers to get started. Their trailers are all made with high-quality, durable materials they don’t just last long; they are also beautiful and charming. Note: MTS Mobile Trailer Solutions delivers quality pet grooming trailers WITH friendly after-sale support. Get in touch with them now so you can get started right away in this charming, lucrative business.